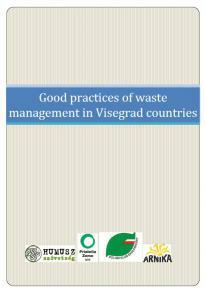 European legislature represents an important driving force of waste management development in the Visegrad Four countries. The highest impact on waste management of cities and municipalities has the Landfill Directive 1999/31/EC, requiring reduction of biodegradable waste amounts going to landfills, and Waste Framework Directive 98/2008, laying down targets of material recovery of municipal waste. Táto podstránka bola vytvorená: 28. september 2015 - 22:52, naposledy bola upravená: 29. september 2015 - 0:10.